Processing | Detroit Forming, Inc.
DFI has been in the food processing tray business since its inception in 1962. 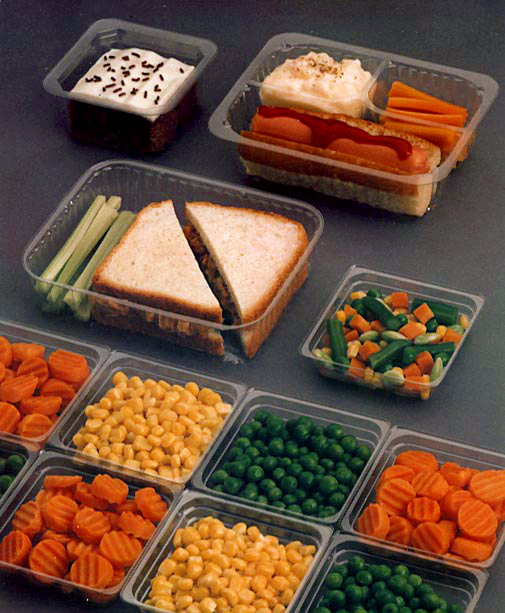 DFI innovated the portion control tray to meet the needs of the airline industry and has been working directly with processors every year since then, designing and building the packaging products needed to run production lines more economically efficient. Please allow DFI, and our experienced sales team, the opportunity to find the food-processing tray that will meet your requirements. If DFI does not already have the item you seek, our experienced design staff can custom build the item you need. Either way, DFI clearly has you covered.